Ivanko O. G., Tovma A. V., Patsera M. V., Volokh N. H.
Timely diagnosis and treatment of primary arterial hypertension (AH) in young people is of paramount importance for preventing complications of the disease and premature death in adulthood. 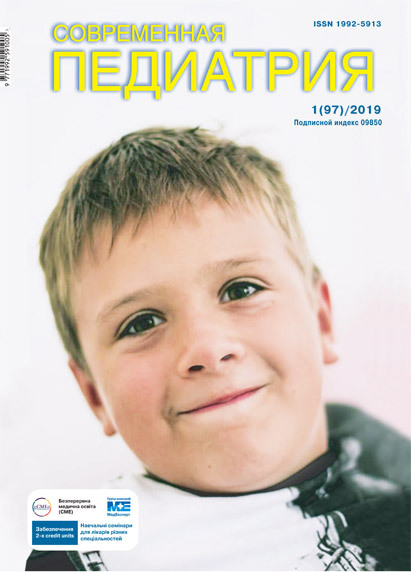 Objective: to discuss the efficacy of evaluation, prevention and treatment of primary AH in students, created on the basis of annual preventive medical examinations, and follow-up monitoring with the participation of medical staff of paediatric and therapeutic departments of the university. Material and methods. During the annual preventive medical examination, provided in the medical university for the first-year students, the arterial blood pressure (BP) is measured. The value of BP equal or higher then 120/80 mm Hg is considered as a basis for further medical evaluation. The diagnosis of primary AH is established by daily BP monitoring with complex clinical, laboratory and instrumental examination. Taking into account that subjective complaints in adolescents with primary AH are poorly informative for diagnosis and prognosis, the SF-36 questionnaire was used to determine the general health perceptions. Considering that the left ventricular hypertrophy (LVH) is the most unfavourable cardiovascular event in young hypertensive people, the evaluation of LVH predictors by echocardioscopy (Echo-CS), electrocardiography (ECG) and genes polymorphism of the NFATC family was performed. Results. The diagnosis of primary AH is established every year in 19% of first-year students. Among them there are 16.7% of individuals with «high normal BP levels», 48.8% of adolescents — with labile AH, 23.8% — with stable AH, 8.3% of students with «white coat» hypertension and 4.8% — with the masked hypertension (detected only by ambulatory BP monitoring). It was found that 29.8% of adolescents with newly diagnosed AH had an ECG Sokolov-Lyon index positive for LVH and the further examination within 6–12 months revealed its development. In the same time the detected association between the CG genotype SNP rs2229309 of the NFATC4 gene and development of LVH has given evidence that listed signs as prognostically unfavourable can be useful to provide timely pharmacological treatment. Conclusions. To organize medical care for students with newly diagnosed primary hypertension, it is necessary to implement medical screening of elevated BP and clinical examination with the study of prognostic predictors of unfavourable course of the disease. Key words: adolescents, hypertension, diagnosis, risk factors, left ventricular hypertrophy, single nucleotide polymorphisms of NFATC. 1. Ivanko OH, Mikhalyuk YeL, Nedelskaya YeV. (2013). Methodological substantiation of the program of physical rehabilitation of arterial hypertension in first-year students of medical university. Zaporozh. Med. J. 1: 67–69. 2. Ivanko OH, Tovma AV, Kamenshchik AV, Patsera MV. (2017). Sokolow-Lyon index in adolescents with arterial hypertension in the prognosis of concentric hypertrophy of the left ventricle of the heart in a remote observation period. Zaporozh. Med. J. 1(100): 14-19. 3. Ivanko OH et al. (Eds.) (2014). Physical rehabilitation of adolescents aged 16-17 with arterial hypertension using an exercise bike in an educational institution: Guidelines. Kyiv: Ministry of Health of Ukraine, Ukrmedpatentinform. 4. Kamenshchyk AV, Ivanko OH, Fedchenko AV. (2015). Nuclear activation factor of activated T-cells (NFATC) as a possible diagnostic and prognostic marker for valve birth defects and myocardial hypertrophy. Pathology. 33(1): 4-7. 5. Koreniev NM, Bogmat LF, Nosova YeM. (2010). Hypertension prevalence of adolescent age: the formative mechanisms, approaches for treatment. Pediatrics, obstetrics, gynecology. 72(4): 68-69. 6. Marushko YuV. (2017). Primary arterial hypertension in children and adolescents: diagnosis and therapy. Medical Nature. 2(22): 31-33. 7. 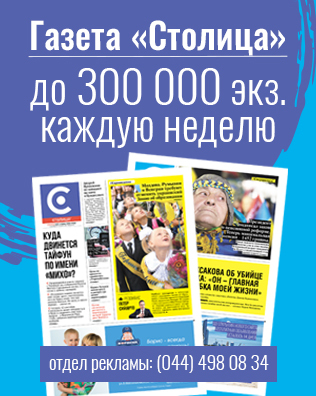 Tovma AV, Kamyshnyi AM, Kamenshchyk AV, Ivanko OH. (2017). The value of single nucleotide polymorphisms of NFATC family genes in the development of left ventricular hypertrophy in primary arterial hypertension in adolescents. Pathology.4; 3(41): 282-286. 8. Flynn JT, Kaelber CM, Baker-Smith D. (2017). Clinical Practice Guideline for Screening and Management of High Blood Pressure in Children and Adolescents. Pediatrics. 140(3): 1904-2017. pii e20171904. doi 10.1542/peds.2017-1904. 9. Kliegman RM, Stanton BF, St Geme III JW, Schor NF, Behrman RE. (2011). Systemic Hypertension (chapter 439). Lande MB. Nelson textbook of pediatrics (19th ed.). Philadelphia: PA: 2610. http://www.expertconsult.com.